Traditional lead scoring is the process of ranking the sales readiness of all leads against an agreed definition of a qualified lead. Marketing and sales teams work together to score leads based on their behaviour, demographics and the quality of information. This scoring system lets the professionals determine the level of interest that a prospect has in their business, where they are placed in the buying cycle, and the overall ﬁt to the business. Additionally, predictive marketing analytics can be used to enhance lead scoring by predicting scores of new customers based on the similarities to existing customers. Lead scoring has helped our clients’ sales and marketing teams really focus their efforts on the highest potential leads to maximise return on investment. Demographic Scores relating to static information such as role and size. For example, a CEO would score more than a Manager and a large company more than a small company. Behavioural Scores relating to activities and behaviour. For example, downloading a white paper on the website and sending a message via the Contact us page would score much more than looking at the About us. Quality Scores relating to the confidence you have in your data and how complete it is. For example, a contact with address, email and phone information, which has been validated by perhaps opening an email, would score more than someone where some of this information is missing. The problem with this approach is that it can be challenging for marketers to interpret the data in a way that is both consistent and accurate. Scoring is very subjective. 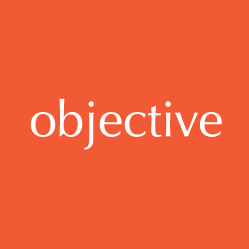 Objective IT can integrate analytical databases for lead scoring, meaning you can set up the scoring rules and scores based on dozens of types of interactions in the customer journey. Lead scoring helps sales focus their efforts on the highest potential leads and highlights warm leads which should enter a nurturing marketing campaign. When a sales-ready lead is defined, you can set up the rules in the marketing intelligence system so all anonymous and identified leads are ranked against your definition, which can determine the precise point when a lead is ready to begin conversion.